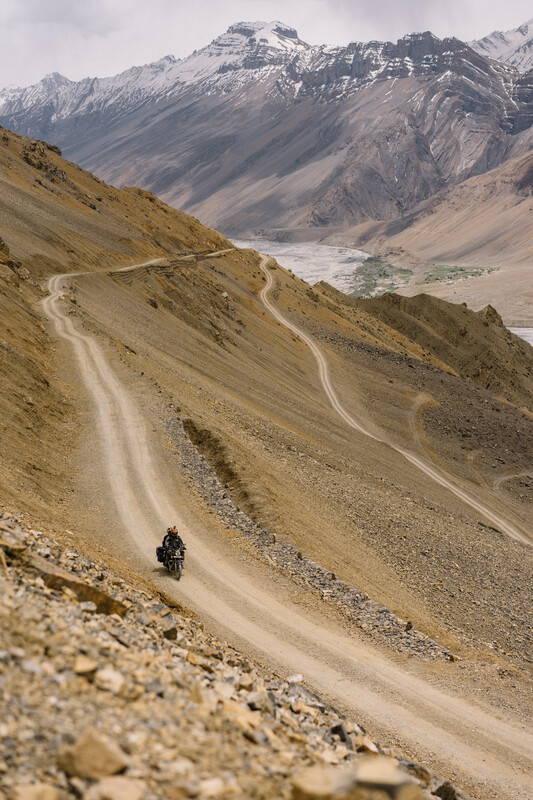 Do You Dream Of Riding The Highest Motorable Road In The World? A bucket list experience like no other. 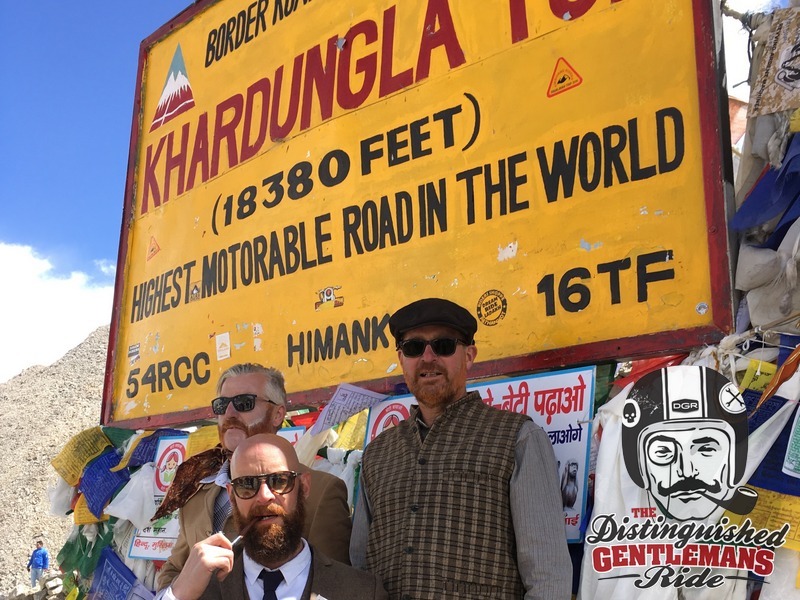 Partake in the world’s highest Distinguished Gentleman’s Ride as we attempt to ride to the top of Khardungla, the world’s highest road dressed in our finest tweed…or Maharaja suits! Experience Delhi, one of the worlds most populated cities for a day before heading to the Hippie haven that is Manali. 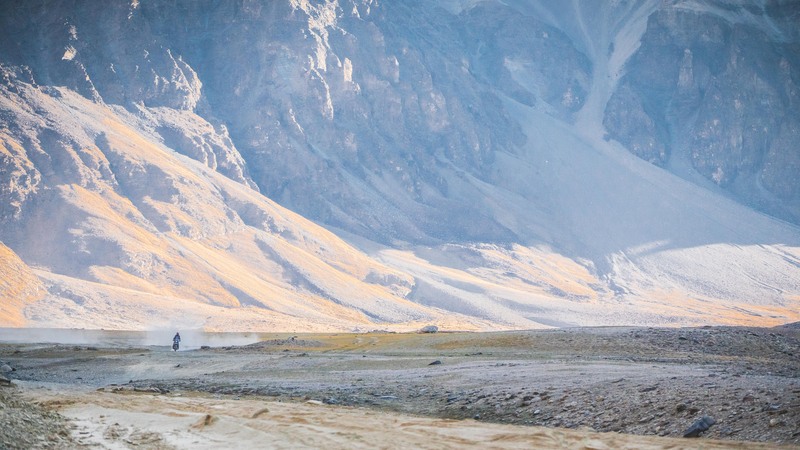 We snake our way up the sometimes tricky Rohtang Pass and descend into the arid Himalayas. Each valley is unique and throws up multiple water crossing opportunities as the glacier melt accelerates with global warming. 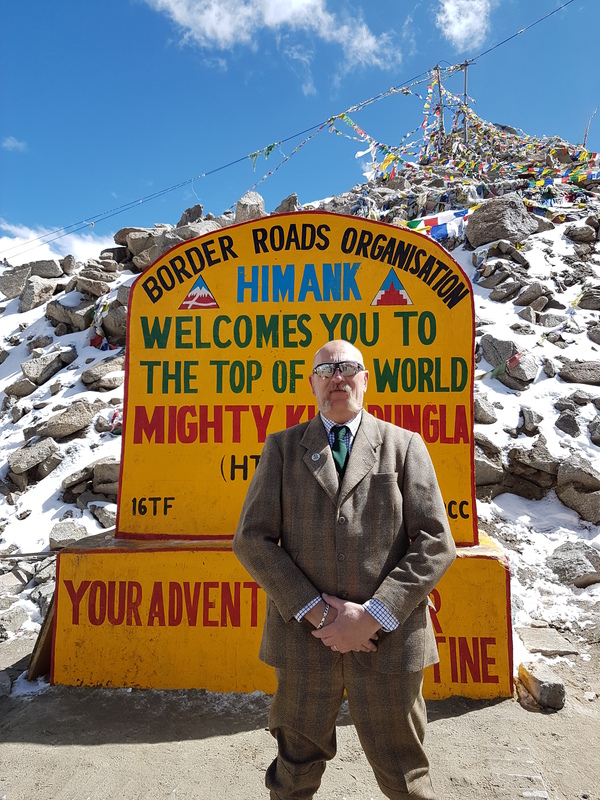 Not only will we go over the three highest motorable passes in the world, but we will stay at one of the highest monasteries in the world on the banks of one of the world’s largest lakes at an altitude above 4500m. We’ll drag race across the vast More Plains in a cloud of ancient dust before heading through valleys of unimaginable scale. As we leave the sparse and uninhabitable desert regions and into the lush oasis that is Leh, the 17th century, 9 story Royal Palace watches over you. 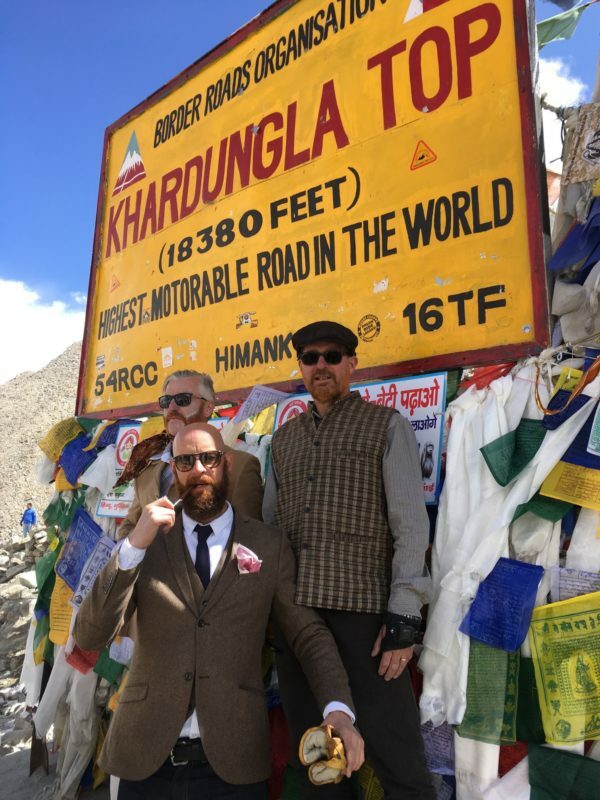 We acclimatise before dressing in our dapper gear for the Distinguished Gentleman’s Ride and head up to Khardung La – claimed to be the highest motorable road in the world at 5359m. We then head west, deep into Jammu and Kashmir towards Srinagar near the Pakistan border. 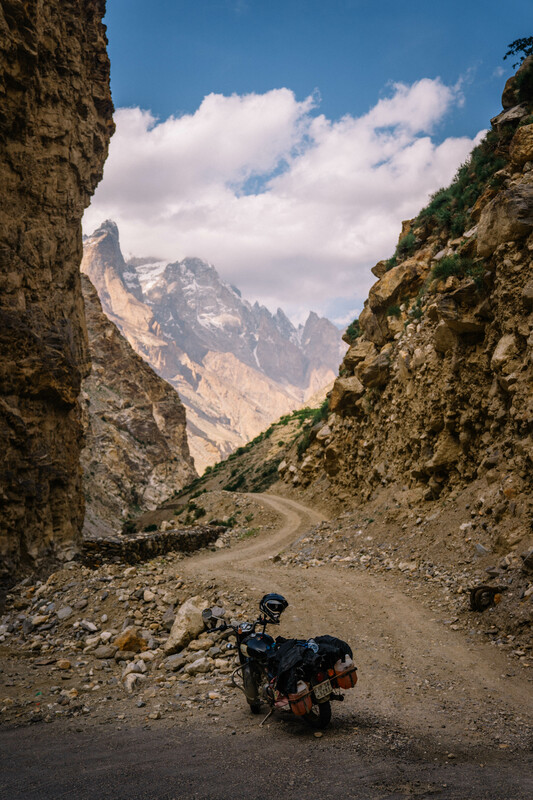 We’ll roll up Magnetic Hill, stay the night in the surreal 11th century Lamayuru and visit skull cave before staying in the distinctly Islamic town of Kargil. We relax with two nights on a house boat in Srinagar. If you’re an early riser, then the floating markets are a great way to see the sunrise. We fly back to Delhi where you can add an optional Taj Mahal day trip or just jump on the plane home. 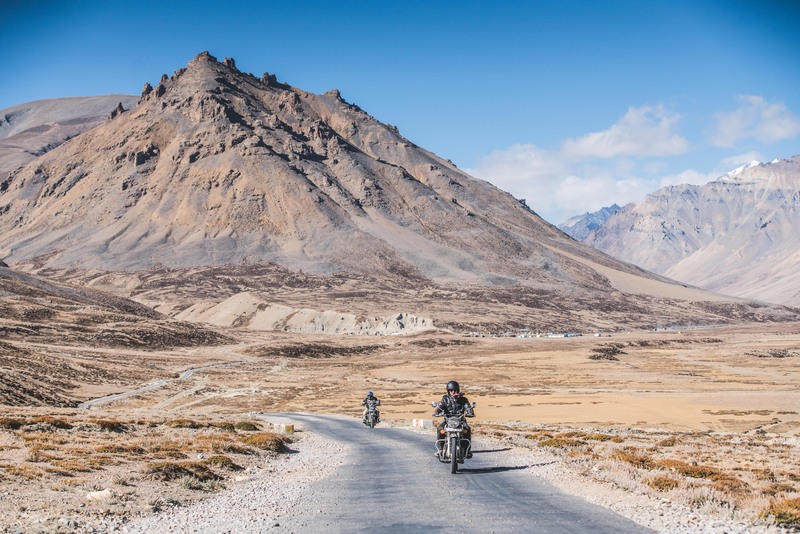 Either way, you’ll be wishing you were back on a motorcycle in the Himalayas soon! PRIVATE ADVENTURES AVAILABLE This tour is also available as a private adventure for solo adventurers, a couple, a club or even just a group of mates. This can be any combination of riders, pillions, sidecar passengers or even family in one of our expedition support vehicles. The tour can be shortened or lengthened to suit your desires. Please contact us to discuss your needs. NOTE: The prices above are based on a twin share basis. If you’d like your own room, then there is a US$650 supplement. Payment terms: A US$1000 deposit must be made at time of booking. Balance payment must be paid 8 weeks before the tour start date. Payment plans are available upon request. Most of the flights land at midnight at New Delhi IGIA. Please ensure you arrive with plenty of time to transfer the domestic airport for your early morning connecting flight to Chandigarh. Alternatively, if you would like to arrive a day early and relax or sight-see let us know and we can arrange accommodation. 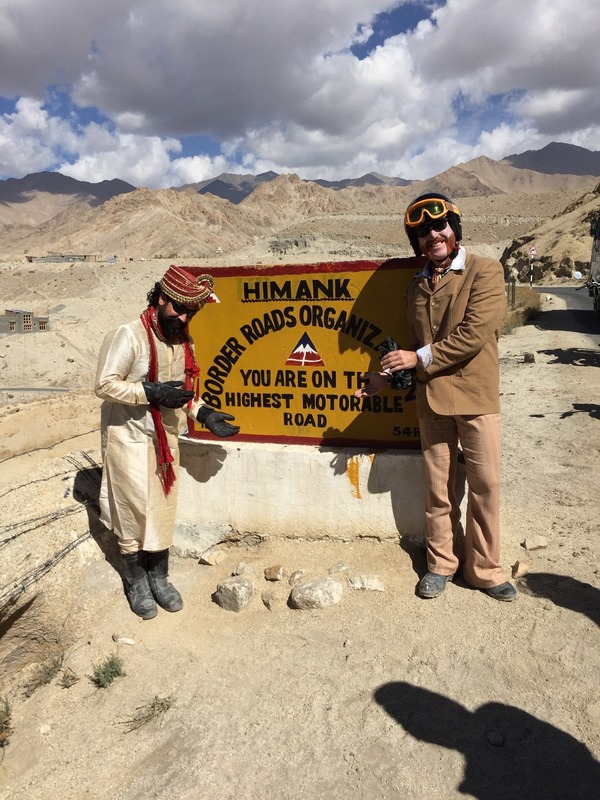 We’ll either fly direct to Manali or via Chandigarh and then taxi it to drive to Manali. If we go via Chandigarh, we’ll have breakfast or tea break on route, along the hilly and zigzagging road to Manali in our private taxis. 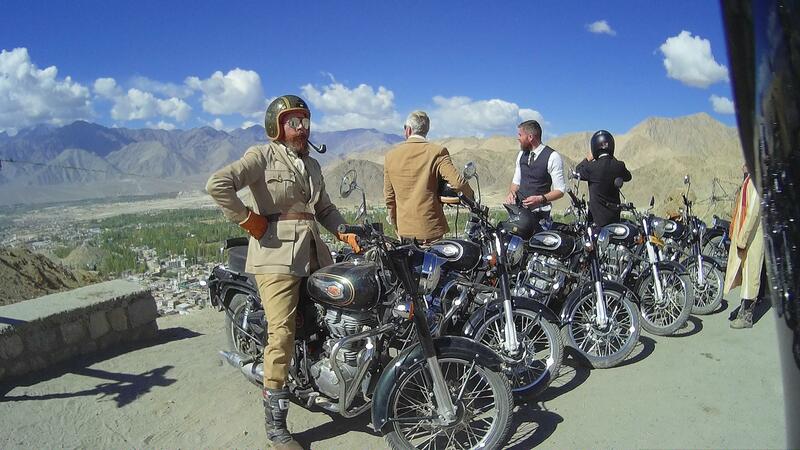 We reach Manali in the evening where we will meet our touring team and bikes. We’ll have dinner and stay overnight in a four star hotel. 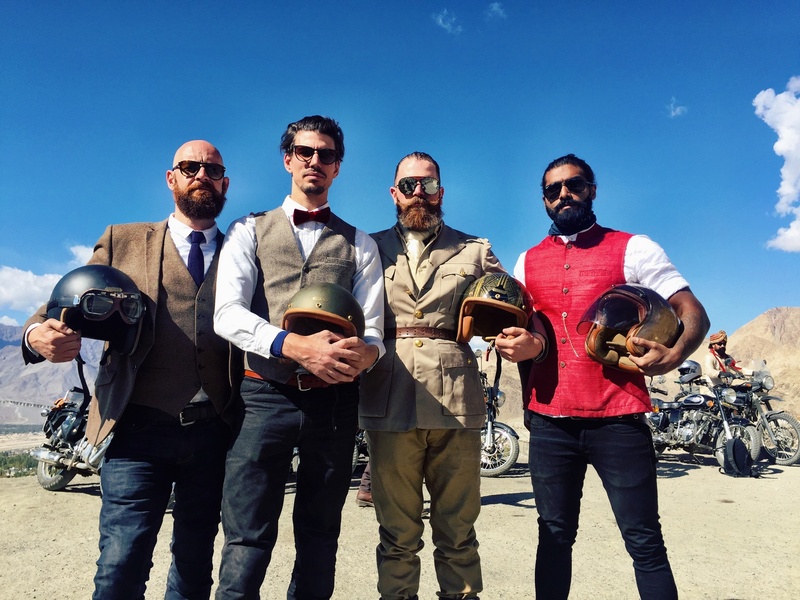 After breakfast, we’ll have a rider briefing with our adventure leader, check personal equipment and cover safety precautions before being properly introduced to the Royal Enfield motorcycles. 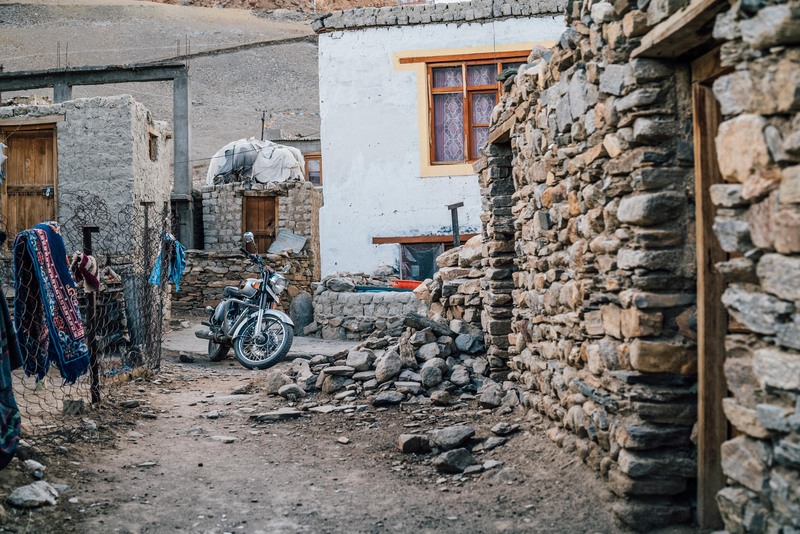 We’ll take the bikes out on the adjacent narrow roads of the surrounding villages and through the mountains. This is your chance to familiarise yourselves with the motorcycles and get to know the roads. In the evening we get back to the hotel for dinner and rest before the tour starts proper. The first 35km is a nice winding road until Marhi and then we have to cross the infamous and challenging 5km of muddy road on the way to Rohtang pass. 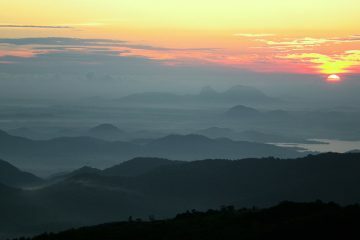 Here you catch fantastic views of the surrounding Himalayan mountains. “Fun” Fact: Rohtang pass literally means pile of corpses, due to people dying in bad weather trying to cross the pass. 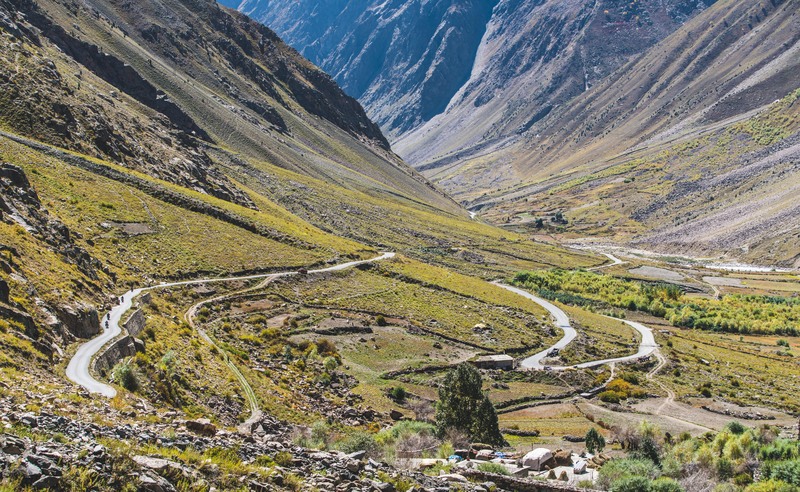 This road has been featured a couple of times on the TV series – World’s Deadliest Roads. 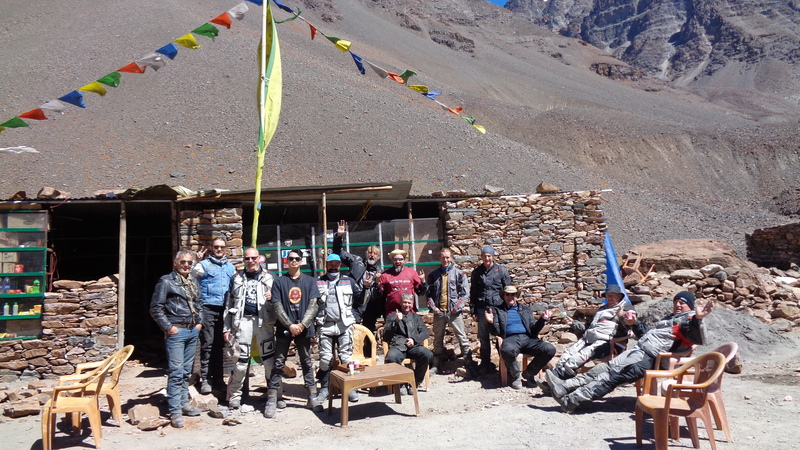 We descend into the Chandra Valley, stop at a checkpoint and have a chai break before we continue along the bank of the mighty Chandra river. 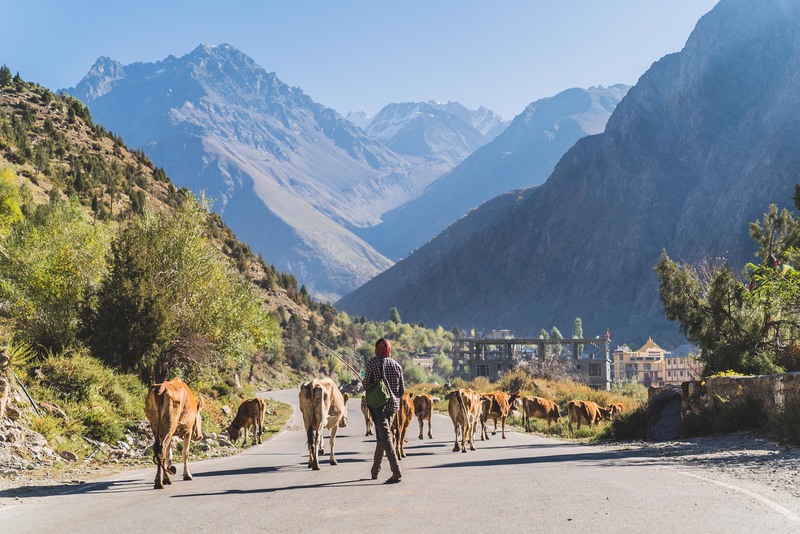 We head through Tandi and enter into the Ghar Valley along Bhaga river through the town of Keylong. We have another chai break and then finally head to the village of Jispa through the Tod Valley, where we will spend the night in a Hotel. 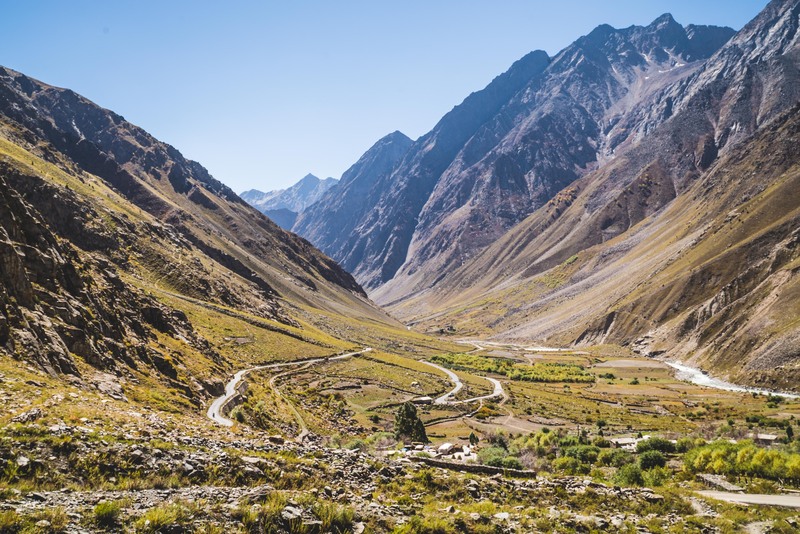 After stopping at the police checkpoint, we follow the winding road and cross one of the toughest passes of the journey: the Baralacha pass and catch stunning views. 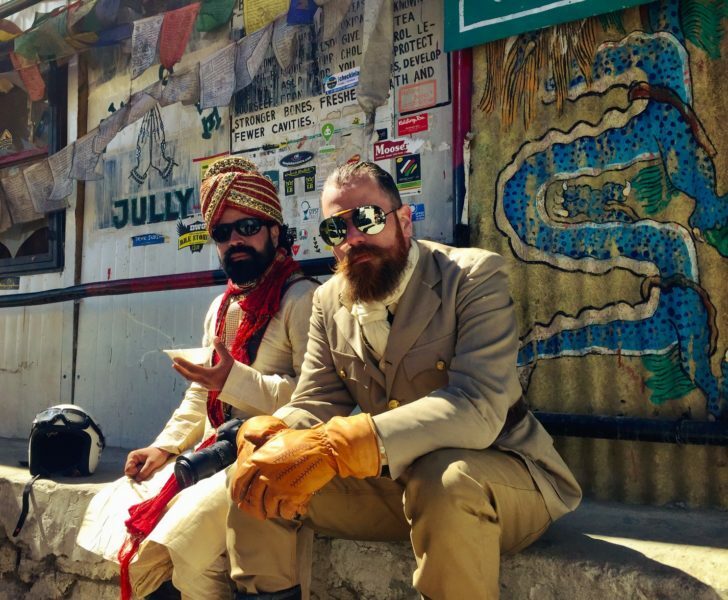 We then descend to Bharatpur for a well-deserved chai break and hot lunch. 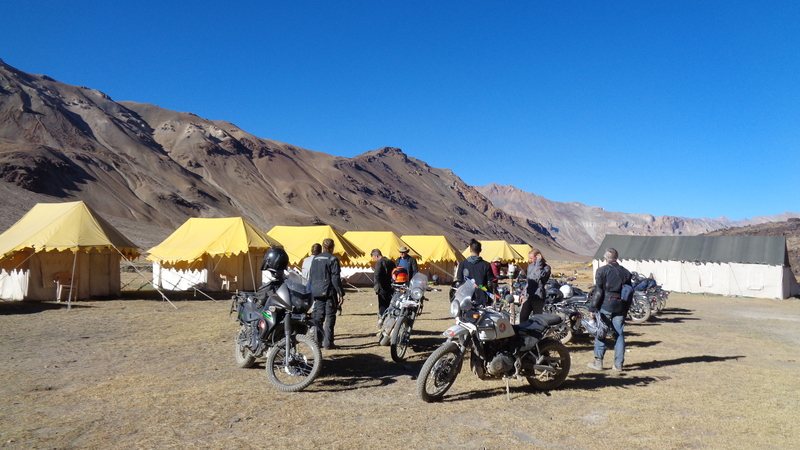 After lunch we ride some fantastic roads along the valley floor to our semi permanent campsite in Sarchu. If we arrive with good light and people are feeling up to it, we take the bikes across the plains to the canyon edge for a spot of cross country scrambling. We have dinner and stay overnight in the deluxe camp. 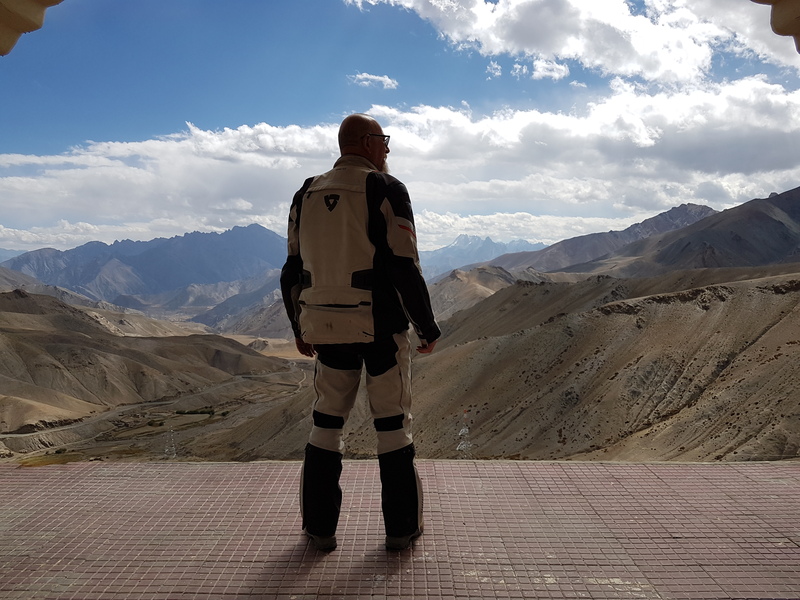 The most awesome part of the trip on the Manali-Leh highway begins right after Sarchu, in the state of Jammu and Kashmir. 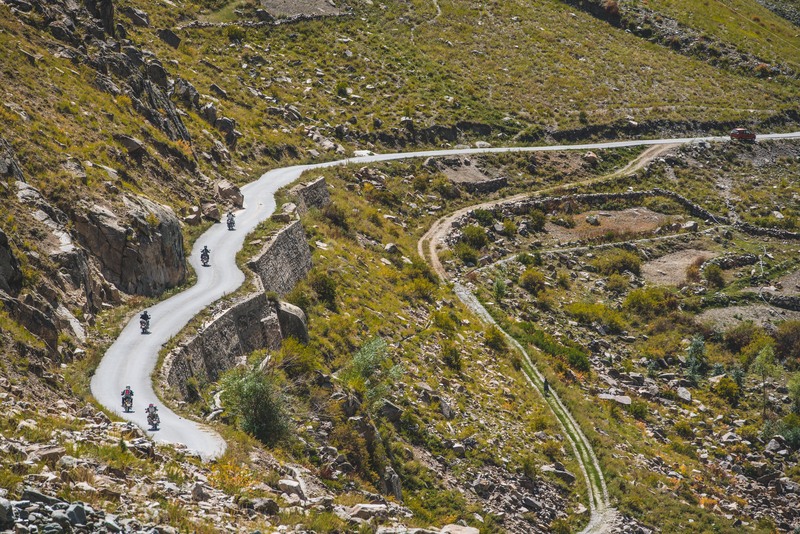 The Gata Loops consists of a succession of 22 hair pin bends which will have you ascend 450m in no time at all. 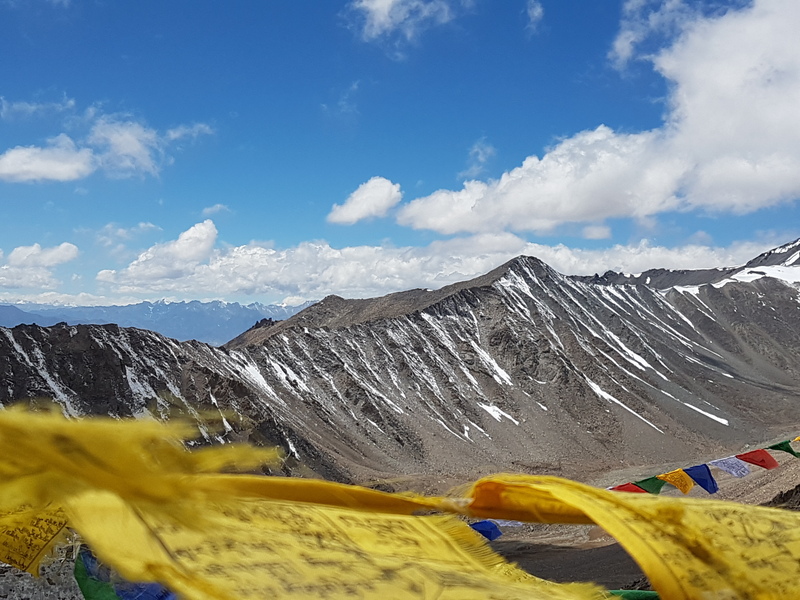 Soon followed by Lachlung pass at over 5,065m and Nakee pass at 4739m that leads you to Morey Plains, a 42km extension of the Changthang plateau. 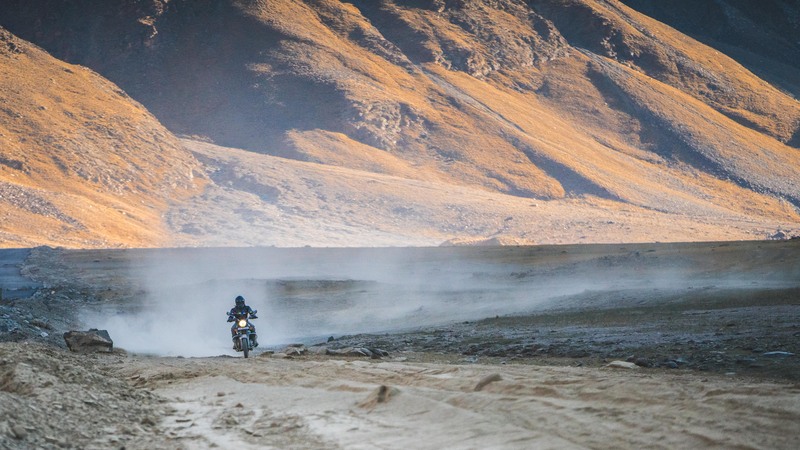 You cut across a sandy track on your right leading you to the saltwater Tso Kar Lake. The Tso Kar basin has a long mix of meadows and marshy land. It has fresh water and a brackish lake, several natural springs and streams. Migratory birds also use the lake as their breeding ground. 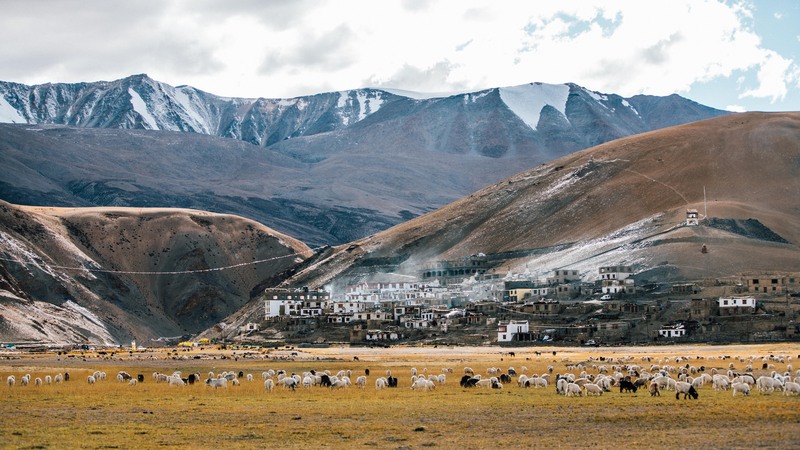 Apart from its sheer beauty, Tso Kar is known for the Indian and Tibetan nomads who live here in the winter months. We will have dinner and overnight stay in the camp site. 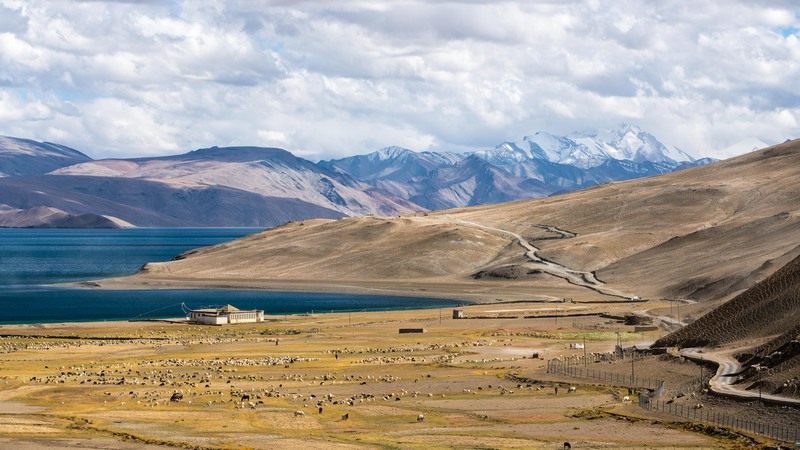 Tso Kar to Tso Moriri is a 90km ride that will test your idea of space and time, and leave you completely speechless, unable to describe what you have seen. 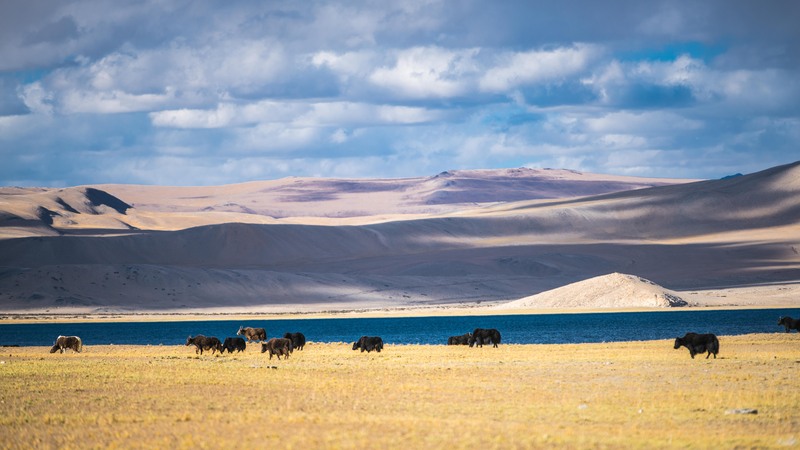 Not one or two but three pristine lakes, two high altitude passes, Namshang-la (4,960m) and Pologonka-la (4,972m) combined with sandy rough tracks force you to stop every once in a while to either take pictures or just to enjoy and admire the beauty. Again, we have dinner and stay overnight in camp. The banks of Tso Moriri Lake are home to the largest clan of nomadic Buddhist tribes in the Ladakh region.The Changpa nomads live in Yak-wool tents and make a living out of rearing sheep and goat.Their yak-milk tea is worth tasting and you should definitely visit one of the Changpa camp sites to get a first-hand experience on how these amazing human beings have been living in perfect harmony with nature for centuries. 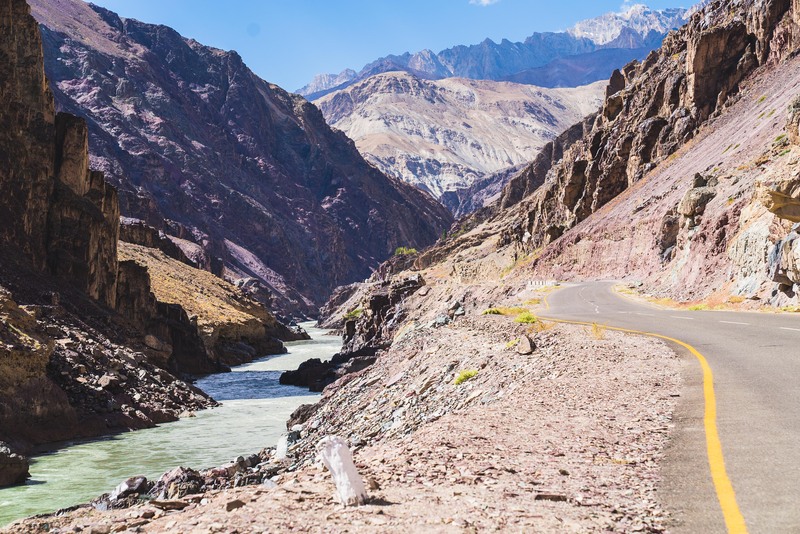 After spending time at the nomadic camp site, we ride alongside the majestic Indus River to Leh. We have dinner and stay overnight in a hotel in Leh. 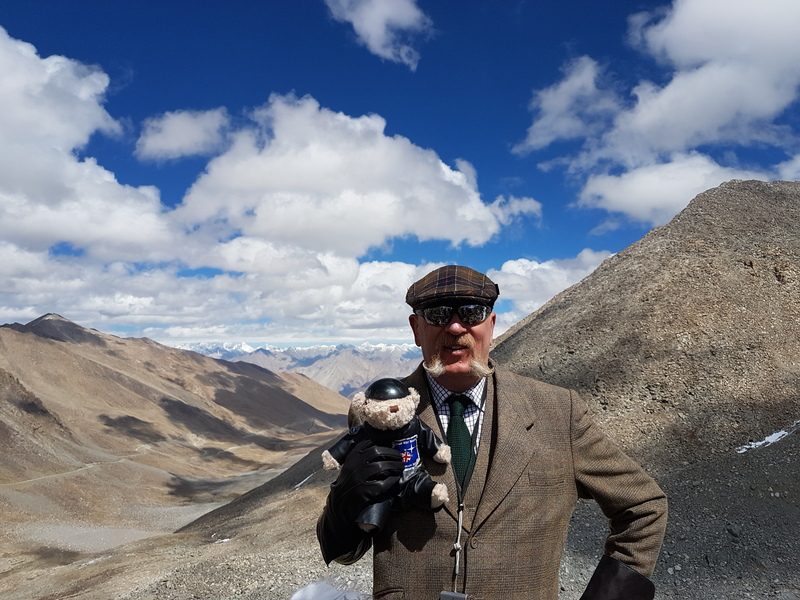 After a good rest and hearty breakfast it’s time to tackle the Khardung La, for a time the worlds highest motorable road at 5350m. It is tarmac most of the way and it is usually in excellent condition. 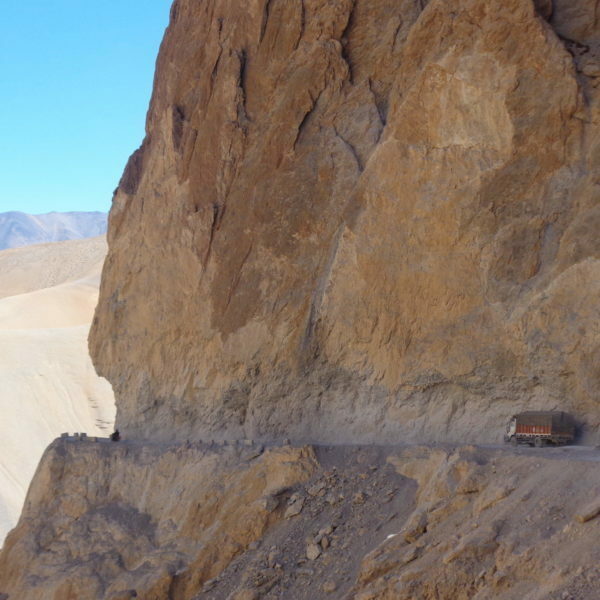 We switch our engines off and roll all the way from the top to our hotel 43kms below in Leh! Rolling silently at speeds of up to 70km/h was an entirely new experience and was the highlight of the tour for many. 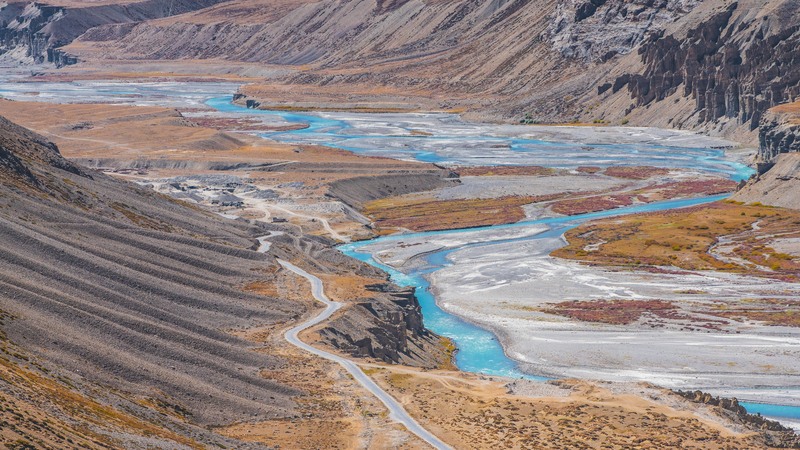 You will arrive back in Leh in the afternoon with plenty of time to explore the many sights it has to offer. We have dinner and stay overnight at a hotel in Leh. This is a free day for you to explore the amazing monasteries, local markets, souvenir hunting and the beautiful surrounding landscapes. We have dinner and last overnight stay in Leh. 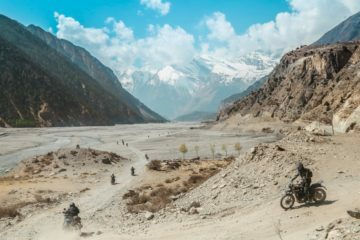 After breakfast we ride towards Lamayuru and detour towards Photoksar which was the the earlier trekking route to Zanskar. This is a new road which is rarely explored by riders or tourists. 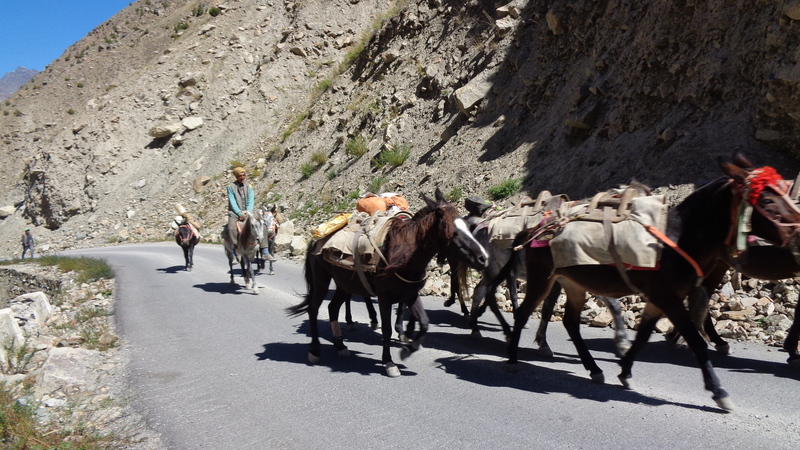 We continue along the same road back to the Impressive Lamayuru Monastery. We have dinner and stay overnight at a Guest House. After an early breakfast, we leave the scenic sights of Lamayuru riding the zigzagging hairpins up to Fotu la pass (altitude 4108m). 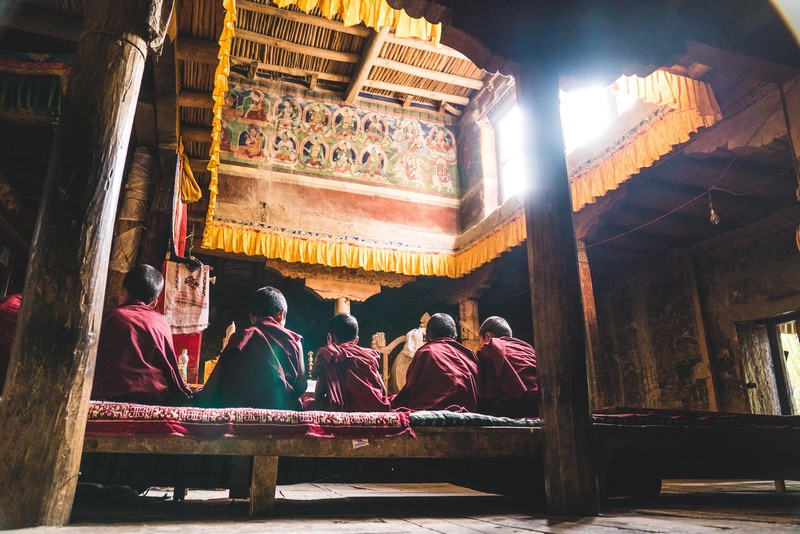 We will stop at Mulbekh to visit the small but impressive Buddhist monastery. Tonight we will stay in a small Islamic town called Kargil. You are free to go for a stroll through town after dinner, with an overnight stay in a Hotel. With a big day ahead, we start early and travel through Drass onto Srinagar, the second coldest inhabited place on earth. 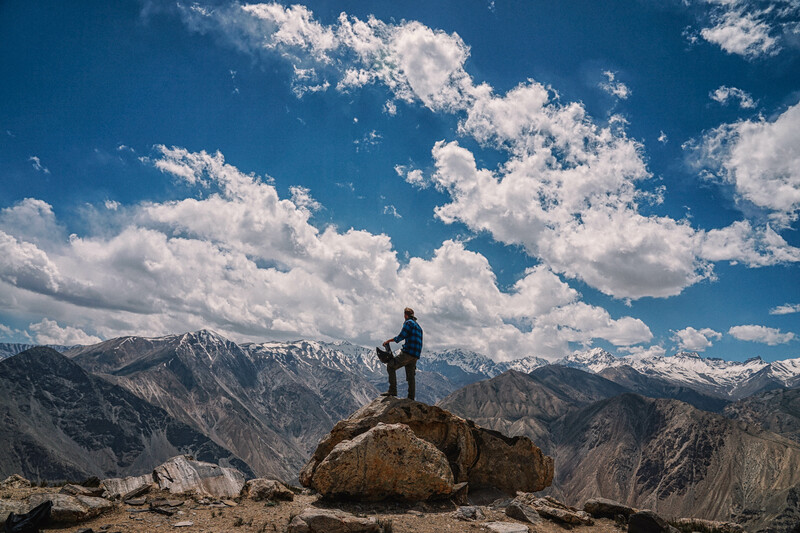 Here you’ll have spectacular views of Kargil’s famous Peaks, Tiger Hill and Tololing Peak. 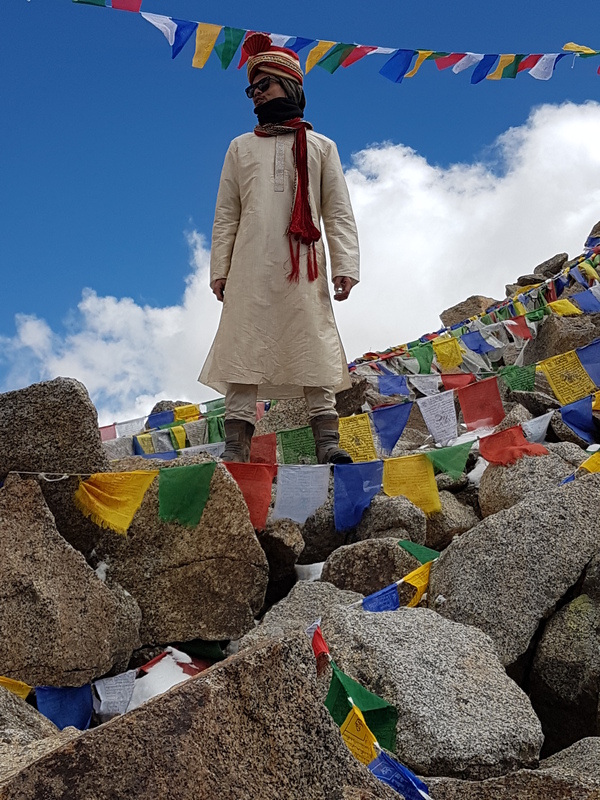 We cross Zoji La (3528m) to enter the Srinagar Valley which is an amazing experience. 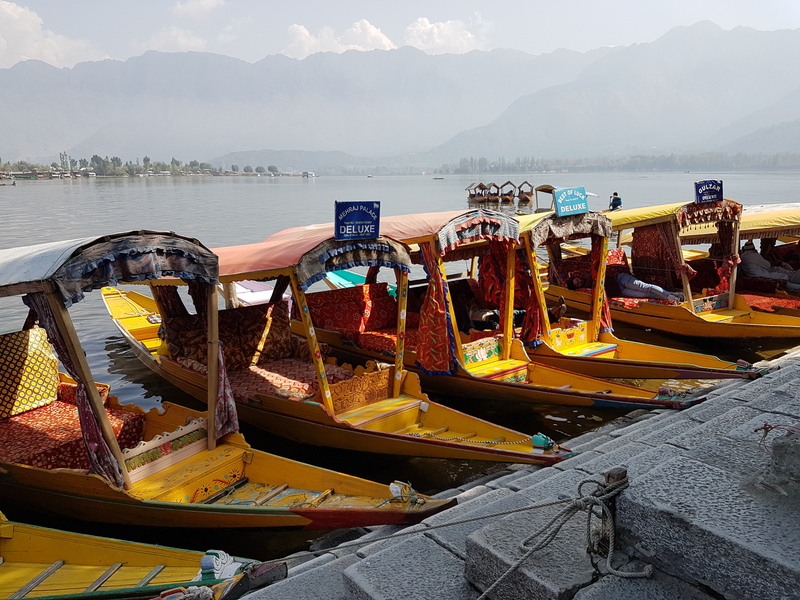 After having lunch in the beautiful Sonamarg, we will continue on until we arrive to our destination of Srinagar, staying overnight in houseboats situated on the Dal Lake. This is another free day for you to explore the unique scenery, mingle with the locals and discover an ancient way of life. 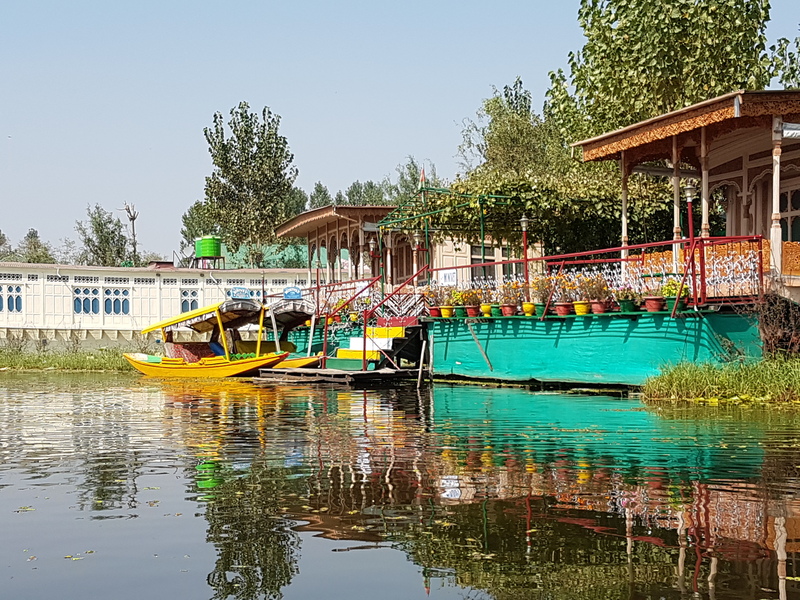 You can choose to relax on your houseboat, water-skiing the Srinagar way or take a shikara ride on the Dal Lake and explore the canals of local vendors located on the water. We stay overnight on a houseboat. 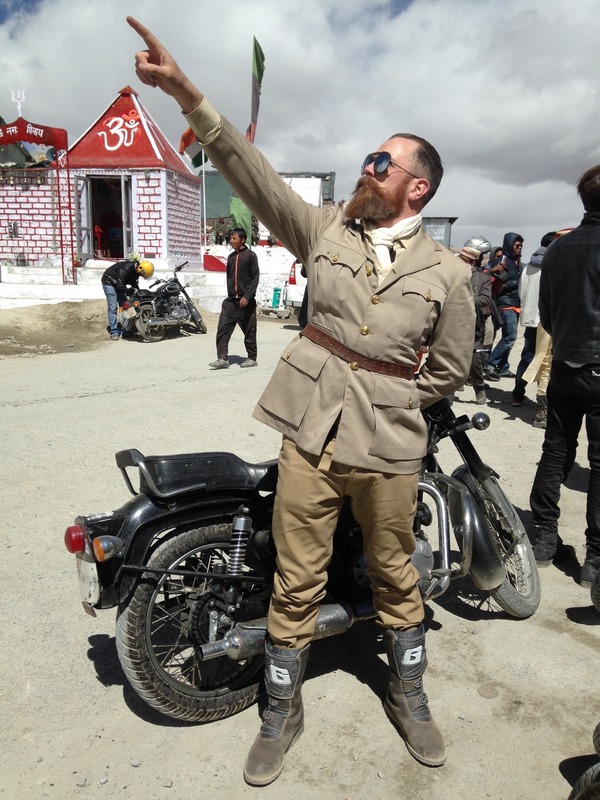 That’s it folks, you’ve just completed one of the most extreme motorcycle expeditions in the world. 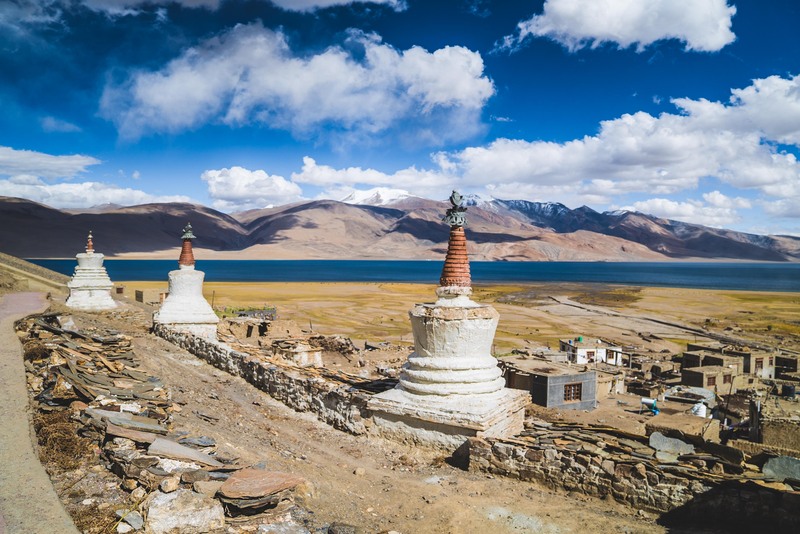 You’ve crossed three of the world’s highest motorable passes, seen huge hanging glaciers, ridden by high-altitude lakes and immersed yourself in the colourful cultures of Ladakh. Time to board the flight back to Delhi and onward home. Back on home turf you won’t be able to explain the scale of this journey; photographs and videos will fail to do justice to your adventure. Your memories of this epic adventure will stay with your forever. In the countries we conduct adventures, commercial insurance on motor vehicles is either not available, or is of questionable value. 3rd party insurance will usually not cover foreigners and even if it does, it is generally worthless if one needs to make a claim. In the event of an accident in these countries, the situation is usually settled on the spot without the “assistance” of insurance companies. If insurance companies are involved, it can take days, weeks and even months before there is a resolution. Himalayan Heroes offers its riders the option of capping the cost of your damage bill on the motorcycle you are riding. The cost of this damage cap option “DCO” is US$195, paid as a lump sum before the tour starts. In the event you damage the motorcycle, the DCO will cap your damage bill at US$200. If, like most of our riders, you do not damage the motorcycle then the total cost to you is only the cost of the DCO = US$195. If you have a big off and damage the tank, forks etc and the damage bill is say US$750 then your damage bill is capped at US$200. The total cost to you is US$395 (US$195 DCO + US$200 damage bill). The DCO is optional, so if you would like to carry the risk yourself, you are welcome to. At the completion of the tour, you will be presented with an itemised bill of the damage to the bike. Approximately 50% of our riders do not damage the bikes and of the 50% that do receive a damage bill, the majority of the bills are less than $300. Please send us an email if you’ve got any questions about the DCO. The DCO is not an insurance policy and therefore any costs related to it cannot be claimed on a travel insurance claim. Not sure on certain details and want some more info. Add your name and phone number and Rex will get back to you at a convenient time.